Exclusive! Yearning for the luscious grape arbors and brilliant flowers of Tuscany? 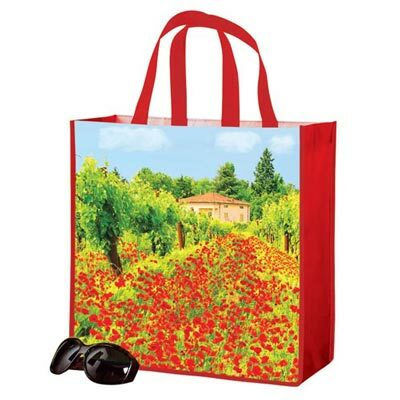 Non-woven polyester Tuscan Field Tote is coated for easy cleaning, and printed on both sides in a colorful scene sure to please. Imported. 14"w, 12"l handles.